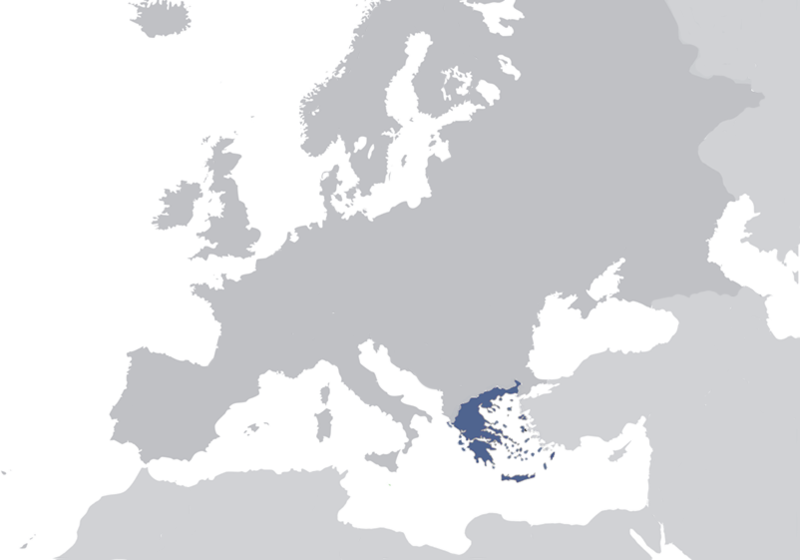 Greece spreads to the southeast edge of Europe, in the eastern Mediterranean sea. Its continental part is a peninsula that marks the end of the great Balkan peninsula or the peninsula of Aemos. From one side to the other the sea dominates. At the east is the Aegean sea, west the Ionian sea. Both of them meet in south and are decorated with thousands of islands, large and small, inhabited and uninhabited even solitary islets. Most of them are in the Aegean Sea. The northern point of the Greek peninsula is in the northeast of the edge in the area of Thrace, a village named Ormenio near the borders with Bulgaria. The southern point is south of Crete, cape Tripiti of Gavdos island, which is the southernmost point of Europe. The western point is located northwest of Corfu in the western cape's small islands, Othoni, belonging to the cluster of Diapontian islands, in the sea of Chemaera. And last , the easternmost point , is the southeast part of the island Kastelorizo of the Dodecanese islands cluster, specifically the small island Stroggili , which was formerly called Ipsili. In a straight line the distance from the northern to the southern point is 792 km and from the western to the eastern 992 km . From the western point to the northern the distance is 611 km and up to the southern 700 km. And from the easternmost to the northernmost it is 694 km and up to the southernmost 522,5 km. The length of land borders of Greece with its neighbouring countries to the north and northeast is 1.215,5 km. The surface area of the country is 131.944 sq km . The mainland part covers 106.778 sq km and the islands are covering 25.166 sq km. The morphology of Greece has two main characteristics: firstly the terrain is mountainous - fields exist mainly in eastern and southern parts. Secondly the shores show high dismembering. Which is lacy and penetrates almost everywhere in mainland, forming large and small bays and gulfs. The total length of the coastline alongside the coast of the islands reaches 15.020,9 km. In other words, a straight line along the Greek coastline is as great as the distance from the Greek capital Athens, to cape Horn to South America or to the eastern point of New Guinea. Usually when we speak about Greek islands we say that they are three thousand. Some even say six thousand. Actually the insular territories of Greece are 9.835 , according to the Navy's Hydrographic Service which has documented every piece of land over the sea level - big and small islands , deserted and every islet. Dodecanese Islands are 1.090 islands . The Islands of the northeastern Aegean Sea are 493. The islands of northwest Aegean Sea, the Northern Sporades are 711. Cyclades in the central and south Aegean, 2.292 and the Ionian Islands, Eptanisa, are 153.